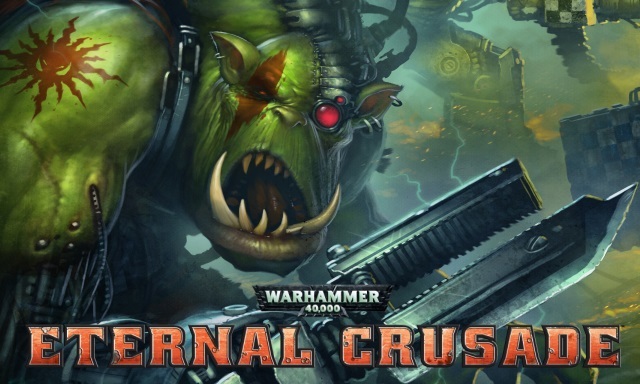 Team Critical Hit will be continuing their transparent approach to development this week on Warhammer 40,000: Eternal Crusade by streaming new parts the game and taking fan questions live on Twitch. They will be showing off a 6v6 team fight demo, between the Space Marines and the Chaos Space Marines. On the Space Marine side we’ll have the Tactical, Assault, and Devastator classes. Meanwhile with the Chaos Space Marines, we’ll show off the Tactical, Raptor, and Havoc classes. But what would these combatants be without their weapons? We’ll be giving some demos of the Bolter, Stalker Bolter, Heavy Bolter, Bolt Pistol, and Chainsword as well. We’ll also be driving around and firing from the Predator Tank and Rhino on the field. Plus, if you’re lucky they just might slip a few more work in progress pieces and parts too. The event will be going down at 1:30pm ET (10:30am PT, 5:30pm UTC) on the Eternal Crusade Twitch channel – http://www.twitch.tv/40kcrusade this Friday, July 25th.